In this article, we review the 36 most affordable accredited MSW programs in the southeast for 2016. For more programs in the east, see The 14 Most Affordable Accredited MSW Programs in the North East 2016. Individuals with a bachelor's in social work often aspire to advance in the highly specialized field of social services. Obtaining a master's degree in social work is the next step toward achieving these career goals. The Council on Social Work Education (CSWE) is recognized by the Council for Higher Education as the sole accrediting agency for social work in the United States. According to CSWE's website, there are 241 accredited master's social work programs. Employers value the CSWE accreditation, seeing it as a stamp of approval on a candidate's resume or CV. Earning a master's in social work from a CSWE-accredited school can provide an edge over candidates competing for the same job. We then obtained the graduate tuition and fees for each school from NCES College Navigator. We listed the school in order of affordability based on in-state graduate tuition/fees. 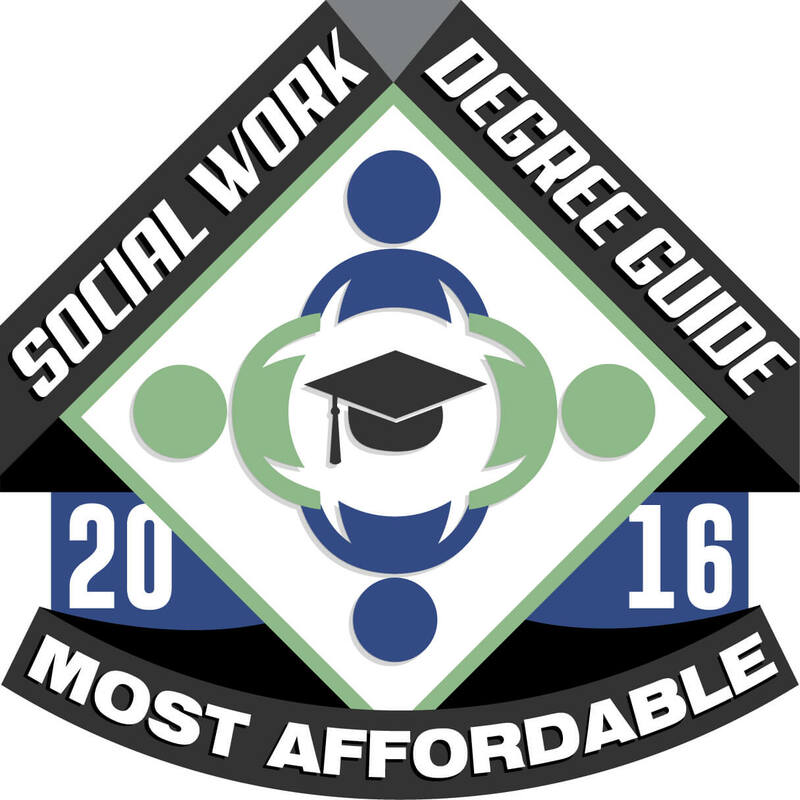 Our list of the most affordable accredited MSW programs in the southeast for 2016 is below. The University of Georgia's School of Social Work offers a highly ranked and accredited MSW program that focuses on two concentration areas: Clinical Practice and Community Empowerment and Program Development. Dual degree options are available and include the MSW/JD, MSW/MPH, and MSW/MDiv. Certificates in specialized areas may be earned while completing the MSW requirements, depending on the student area of interest. The University of Georgia is ranked as the 61st Best National University in the country, and the Social Work program is ranked #37, according to U.S. News and World Report's 2016 publication of Best Colleges. The MSW degree program at Western Kentucky University is designed to prepare students for careers in social work as skilled professionals. The primary focus of the program is to expose students to working in non-urban areas, particularly small towns, rural locations, and small cities. Typical course topics explored within the program include foundations of social welfare policy, generalist social work, and rural community organization and development. U.S. News and World Report lists it as the 130th Best Social Work program in the nation. Best Colleges lists the institution as the 12th Top Public School. North Carolina State University is a highly ranked national university that offers graduate studies in social work. NCSU's Social Work program is listed as the 52nd Best Social Work program in the nation. The Department of Social Work at NC State offers a traditional MSW program and an advanced standing MSW option. The accredited MSW degree program prepares students through an advanced generalist model during the first year of studies. The second year covers research, advocacy, and clinical practice. Students graduate with the full scope of working within various social work settings. The MSW program at Florida Agricultural and Mechanical University is committed to preparing students with the skills and experience necessary to succeed in various social work settings. Common topics explored within the program include community development in social work practice, resource management, social welfare policy and programs, and theories of communities and organizations. U.S. News and World Report ranks Florida A&M's Social Work program #148 in the 2016 edition of Best Colleges. The program is accredited by CSWE to award master's in social work degrees. Offering an affordable MSW program, the University of Memphis Department of Social Work prepares students for professional careers working in various social work settings. The Master of Social Work program offers two concentrations: advanced practice with children, youth, and families; and advanced practice with adults and families. Flexible study options are available to accommodate both full-time traditional students and part-time or distance learning students. Depending on which degree concentration, students explore curriculum topics such as organizations and communities, psychopathology, and social work across the lifespan. Field placement is required and provides students with experience working in various fields of social work. The University of Alabama offers inexpensive in-state graduate tuition rates and an accredited MSW program, making it one of the most affordable accredited MSW programs in the East. The school is nationally ranked by U.S. News and World Report as the 96th Best National University in the country. The Social Work program at University of Alabama is ranked #52 among similar MSW programs. The MSW program is offered traditionally and in a distance-learning format. Foundation content is covered the first year, and advanced courses and field experience are required during the second year. Two available concentrations provide students with career goal options. Northern Kentucky University's accredited Master of Social Work is an affordable program in alignment with the Council on Social Work Education accreditation standards. This cheap MSW degree program promotes human and community welfare by preparing students to become professional leaders in various social work roles and settings. Foundation courses include addiction and family violence, ethics, multiculturalism, and social work practice, while advanced course topics include children and families, public family policy, and field experience. The University of West Florida in Pensacola offers an affordable MSW degree program that is accredited by the Council on Social Work Education (CSWE). MSW degree plans include the advanced standing option, the full-time MSW option, and the part-time and extended program option. All pathways lead to the MSW and provide students with theory and practice, and social work field education. Depending on the degree pathway, 600 or 900 hours of field internship over various semesters is required for graduation. The College of Arts and Sciences at East Tennessee State University offers a Master's in Social Work degree that is affordable and CSWE-accredited. The school offers partnerships with area professionals and organizations that provide students with exposure to social, economic, and environmental challenges in the social work field. Students may attend the program full-time or part-time, or through the distance education option in Asheville and Kingsport. According to U.S. News and World Report's 2016 edition of Best Colleges, East Tennessee's Social Work program ranks #172 in the nation. Florida Gulf Coast University offers an affordable and accredited MSW degree program that is grounded in liberal arts and based on the development of generalist social work skills. Courses explore such topics as child abuse, child welfare, international social work, inter-relational violence, loss and bereavement, and vulnerable populations. The social work program is ranked #187 by U.S. News and World Report's Best Colleges. The University of Central Florida is a public institution located in Orlando and known for being the second-largest university in the nation. The generalist MSW degree program explores ethical practices as applied to the social work field and promotes integrative research and techniques often used in various social work settings. According to U.S. News and World Report, the Social Work program at University of Central Florida is ranked #89 in the nation. Norfolk State University is a public institution that offers an affordable MSW degree program for in-state students. Norfolk's Social Work program ranks #148 in the nation, according to U.S. News and World Report's most recent publication of Best Colleges. Curriculum centers around social and ecological systems and perspectives, with five evenly distributed sequences. Specific sequences include: human behavior in the social environment, social work practice methods, social welfare policy, research methods, and field practicum. A clinical concentration is available in which students focus on selective topics. Some of the most popular courses include foundations of human behavior, social work with families, and social work with groups. Georgia State University is located in downtown Atlanta, approximately one block from the State Capitol Building. The school offers an accredited Master of Social Work degree program that is designed to build community practitioners and leaders in various social work settings. The MSW curriculum follows the standards set by CSWE and offers various electives for students to hone their area of focus. Electives include topics such as aging practice, policy, and research; child welfare practice; forensic social work; grant writing; and social media tools for community partnerships practice. According to U.S. News and World Report, Georgia State's graduate Social Work program ranks #52 in the nation. Saint Leo University is a public institution that offers competitive graduate tuition prices for in-state students, and a highly affordable MSW degree program. The master of social work program at Saint Leo prepares students for careers in social work, specifically as advanced clinical practitioners. In fact, the MSW degree offers an advanced clinical practice concentration. Coursework includes topics such as advanced clinical practice with individuals, ethical foundations in social work practice, and psychopathology. Alabama Agricultural and Mechanical University (a.k.a. Alabama A&M) offers an affordable MSW degree program that prepares students to work with historically oppressed populations of people. The program's philosophy is rooted in respecting human dignity and recognizing the worth of the individual. Field instruction is a provisional part of the program and expected to be completed during the student's second year. Students are evaluated in and out of the classroom on an ongoing basis, and field evaluations are seen as critically important to the student's success. U.S. News and World Report ranks Alabama A&M's Social Work program 187th in the nation. The Department of Social Work and Human Services at Kennesaw State University offers a Master of Social Work degree program with the option of earning a Child Advocacy certification. The accredited MSW program is designed to prepare students to become eligible to take the Licensed Master of Social Work exam upon graduation. The MSW degree program offers areas of specializations in children and family services and behavioral health services, with subspecialty options in substance abuse. Affordable in-state graduate tuition and small class sizes add value to earning a degree at Kennesaw. The affordable MSW degree program at Campbellsville University is available as an evening or online program, designed to accommodate non-traditional working students with life obligations that often interfere with traditional schooling. Students receive specialized attention from instructors, personal academic advisors to assist with degree and career planning, and academic mentorship. The curriculum addresses the needs and challenges identified by the Kentucky Cabinet for Families and Children. A field practicum is required for graduation. The school is dedicated to keeping costs low for graduate students and preparing them for long-lasting careers in specialized fields. The MSW Social Work Program's mission at West Virginia University is to equip graduate students in advanced areas of social work, preparing them to practice with individuals, families and groups, or in community organization and social administration. There are two categories of curriculum in the graduate Social Work program, including Direct Practice and Community Organization and Social Administration (COSA). An MSW/MPA dual-degree option is available and prepares students to work in public administration and social work. Field instruction is also a requirement of the MSW program and provides students with exposure to challenges and demands faced in the field. University of Arkansas at Little Rock offers a traditional and online MSW degree program that prepares students to work in various fields of social work. The program offers two concentrations, including the Advanced Direct Practice Clinical Concentration and the Advanced Practice Management and Community Practice Concentration. Once students are admitted to the School of Social Work, an academic advisor assists in developing a general degree plan that satisfies career goals and expectations. According to U.S. News and World Report's recent publication of Best Colleges, the Social Work program is tied for the 130th spot. Appalachian State University is a public institution located in the scenic Blue Ridge Mountains of North Carolina. The MSW program offers two concentrations: Community and Organizational Practice and Individuals and Families. Field education is a central requirement of the program so that students have the opportunity to integrate classroom knowledge with real-life experience. Typical course topics explored in the program include human behavior and the social environment, nonprofit and public human services administration, and social welfare organizational management. Once a small teachers' college, the University of Southern Mississippi has grown into a large research university that serves a diverse population of 16,000 students. The university's School of Social Work offers an affordable MSW degree program, designed to equip students with the skills needed to succeed in various social work settings. Courses cover a wide range of social work topics, including evidence based practice in social work, human rights and social justice in a diverse society, and problem solving with individuals. Advanced courses, seminars, and field practice are required. U.S. News and World Report ranks University of Southern Mississippi as having the 148th Best Social Work program in the nation. The University of North Carolina at Charlotte offers an MSW degree program with an advanced generalist concentration. The program's focus emphasizes the needs of vulnerable populations in North Carolina, specifically in growing urban and suburban areas of the state. Graduates of the accredited MSW program may pursue state licensure and certification to practice social work. Course curriculum covers advocacy and policy change, advanced social work practice with families, and mental health assessment. Western Carolina University's College of Health and Human Sciences Schools and Departments offers an affordable Master of Social Work program, accredited by the CSWE. The program is available full-time, part-time, or as an advanced standing option. In order to qualify for advanced standing, students must have completed a CSWE-accredited Bachelor's in Social Work within the last five years. The accredited MSW program is beneficial to students who want to become Licensed Clinical Social Workers. MSW certifications are also available. The College of Arts and Sciences at North Carolina A&T State University offers an accredited MSW program. The MSW degree is a joint Master of Social Work program between the university and UNC-Greensboro. Classes are held on both campuses and diplomas earn the seal of both schools. The program focuses on multicultural clinical practice. Field instruction is a requirement of the program, which prepares students for the challenges and demands faced in various social work settings. According to U.S. News and World Report's 2016 edition of Best Colleges, North Carolina A&T ranks #9 among the Best Historically Black Colleges and Universities, and the Social Work program is ranked 104th in the country. Earning an accredited MSW degree from Florida Atlantic University provides eligibility to apply for licensure as a clinical social worker in the state of Florida, and elsewhere. The program's mission is to equip students with critical thinking skills through curriculum and evidence-based clinical practice, while gaining a deep respect for human diversity. Students take classes in human behavior and the social environment, psychopathology in clinical social work practice, and social welfare history and policy. Field education is also a requirement of the program, during the first and second years. Students have the option of earning certificates in Aging and Child Welfare, depending on interests and career goals. U.S. News and World Report ranks the Social Work program at Florida Atlantic University as #130 in the nation. The School of Social Work at Jackson State University offers a CSWE-accredited MSW degree program designed to equip students to face challenges in various social work settings. The highly affordable MSW degree is available as a two-year full time, three-year part-time, or one year advanced standing program. In order to qualify for the advanced standing completion pathway, students must hold a BSW from a CSWE-accredited institution. Field placements are required. Sample course topics include family intervention, human behavior, intervention with children, psychopathology, and social welfare policy. According to U.S. News and World Report, Jackson State ranks as the 13th Best Historically Black College or University in the nation, and the Social Work program is listed as #187. The School of Social Work at East Carolina University offers an accredited Master of Social Work program, available in various formats. Students may complete the MSW program in two years if attending full-time, three years for part-time attendance, and one calendar year if enrolled in the Advanced Standing program. Regular course sequence follows the guidelines of CSWE and covers topics such as human behavior in the social environment, interpersonal foundations, and social work's response to human difference. East Carolina University is ranked as a top national university, according to U.S. News and World Report. The school's Social Work program is listed as #148 in the nation. The School of Social Work at the historically black Grambling State University offers a distinguished MSW program that is both affordable and CSWE-accredited. Through classroom instruction and field education, the MSW program sensitizes students to the needs of underrepresented populations, and exposes poverty and oppression of at-risk groups of people. Students work specifically with African Americans and rural residents of North Carolina. Curriculum follows the regulations of CSWE with a foundation year and advanced year requirement. Elective courses allow students to explore interests and areas of focus. Electives may include diagnoses and interventions in child welfare, child abuse and neglect in protective services, rural social work practice, and supervision and consultation. North Carolina Central University in Durham, North Carolina offers an affordable master's in social work that prepares students to promote social justice for various populations. The university's Department of Social Work abides by its tradition of serving African American students while preparing them for careers in social work. Students may choose from two areas of concentration: Children and Family Practice and Juvenile Justice. This accredited master's in social work degree is available in on-campus or online format. The full-time, on-campus option may be completed within two years and two separate field practicums. Graduate social work students have access to the Graduate Social Work Organization (GSWO), a membership-free organization that promotes peer relationships and camaraderie between students at all levels of the social work program. The university's School of Social Work promotes cultural awareness and empathy for diverse populations through outreach and community activities, along with the standard CSWE-regulated curriculum. Themes, such as advocacy, empowerment, and transformation, embrace views of the individual, family, group, organization, or community. Various pathways to complete the program are available and include part-time, full-time, and advanced standing. Earning an accredited Master's in Social Work degree at Arkansas State University is highly affordable for in-state graduate students. The MSW program offers a unique concentration in rural based clinical social work practice and prepares students to understand the issues of diversity and social exchanges that exist in rural communities. Students also have the option of completing a certificate in Addiction Studies. Arkansas State at Jonesboro is located at the northeastern section of the state, approximately seventy miles from Memphis. The university is ranked high among similar regional universities. The Master of Social Work degree program at the University of North Carolina – Pembroke, is accredited with CSWE. In-class topics include foundations of social work practice, social work in a diverse community, and social work policies and programs. During the second year, students focus on specific areas of concentration. Courses may include advanced generalist intervention research, advanced generalist practice in rural settings, and concentration practicums. Savannah State University's accredited MSW program offers an administrative track that equips students to become social change advocates and architects. Throughout the course of the degree, students study crisis intervention and learn public policy that is rooted in the department's mission of social justice. Two distinct degree paths include clinical social work concentration and a social administration concentration. Foundation courses explore topics in cultural diversity and social work practice, human behavior and the social environment, and social work practice in various groups and populations. The Policy Practice Cognate electives include advocacy and service delivery child and welfare, gerontological policy and practice, and military social work. According to U.S. News and World Report's Best Colleges, Savannah State's graduate social work program ranks #187 in the nation. Fayetteville State University's CSWE-accredited MSW degree program is designed to prepare students for careers as professional social workers. With a leadership focus, the program emphasizes challenges and issues concerning children, families, mental health, and substance abuse. Successful completion of the program prepares students to engage in administration, clinical practice, intervention, prevention, and treatment activities that promote diversity and overall well being of social groups. Common topics explored in the MSW program include assessment of mental disorders, management of human services organizations, and multicultural practice with diverse populations. Fayetteville State University's graduate Social Work program is ranked #148 in the nation. The Sociology Department at Albany State University offers a Master's in Social Work degree program that's highly affordable for Georgia residents. The program prepares students for clinical practice with vulnerable populations of people, including children, families, and adults throughout the lifespan. Students are eligible to take additional courses that satisfy requirements for the state clinical licensure examination for social workers. Courses and field experience are required for successful completion of the program. Course topics include achieving justice in a diverse world, direct practice methods, human behavior and the social environment, and social welfare policies and programs. What Can I Do With a Social Work Degree Concentration in Community Empowerment and Program Development?